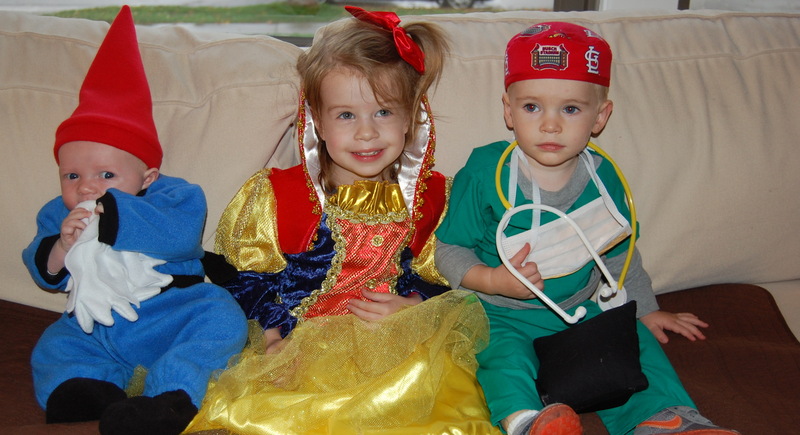 Wishing you a very Happy Halloween from the Baby Gnome, Princess Snow White and the Little Surgeon! Hope your day is full of fun, tricks and lots of yummy treats! Awww, so cute! The HAP babies!